Can Exercise Help with Diabetes? Exercise is always a helpful option to take. There are more benefits and almost negligible demerits of regular exercise. For diabetic patients, exercise restores the body chemistry that has gone haywire. A) Firstly, exercise helps reduce body fat and consequently excess body weight which helps the pancreatic overload that causes diabetes. What Type of Exercise Helps Diabetes? Most people believe in aerobics or dynamic exercises to help in diabetes. But recent studies have shown that resistance exercises and weight training also equally help in controlling blood sugar levels. Exercises are of course by no means a curative measure. Most people start exercising after they have been diagnosed with diabetes. Exercises serve a better preventive measure when done correctly. Usual exercises that help include - brisk walking, jogging, swimming, rowing, aerobics, cycling depending on the person's suitability. These should be regular more than intense and should be accompanied by proper warm up and cooling down schedules. For diabetic patients, consulting physicians is a must before any exercise. 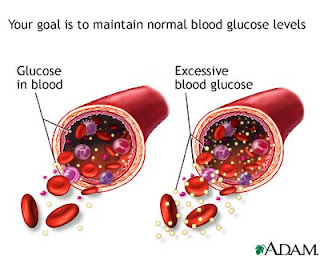 Usually diabetes is accompanied by other diseases such as heart diseases, hypertension etc. Ensure the approval of your doctor before you start exercising. Diabetes is a sensitive condition and patients should be aware of their body reactions to certain things. - Care for your feet properly as they become sensitive due to diabetes. - Carry plenty of water and snacks while exercising. - Be identifiable in case emergency arises. Quick help often solves grave problems. You may consider carrying a note with you which indicates your severe condition. Diabetic condition leads to quick unconsciousness. - Do not step out of your boundaries defined by your doctor.